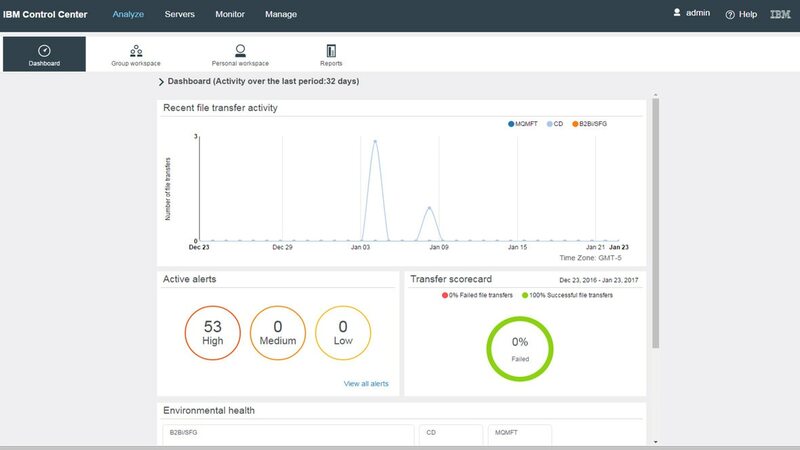 IBM Control Center tracks the critical events across your B2B and managed file transfer (MFT) infrastructure for improved operations, customer service and B2B governance. It applies rules to alert key audiences when there is a problem with a server, process or transfer. Actionable dashboards are customized for various types of users, including operations staff; IT governance, risk and compliance (GRC) professionals; and line-of-business (LOB) customer service representatives. Monitor file transfers and B2B processes. Align server views with operational logic. Identify schedules, processes, file names, user roles and security capabilities. Give LOB proactive visibility into events that impact SLAs, through: browser access, dashboards, notifications of process failures, single-click problem interrogation and more. 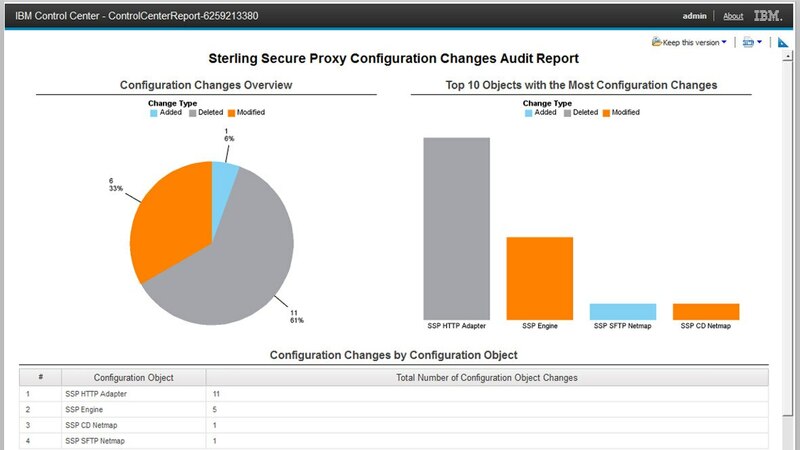 Use continuous controls monitoring and audit reporting. 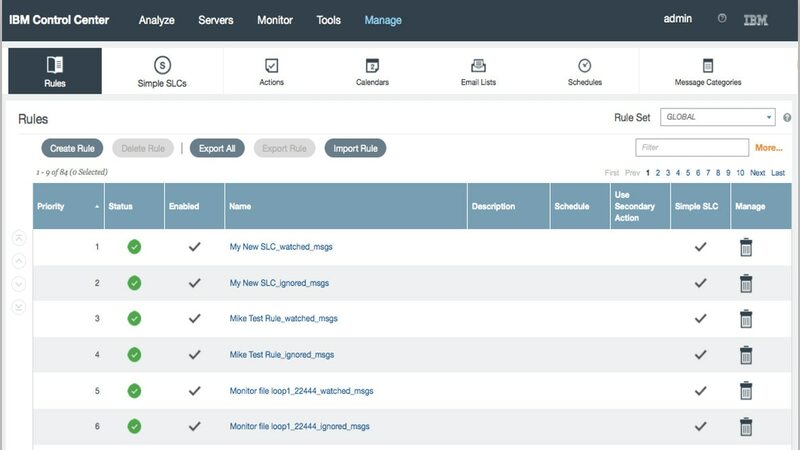 Manage IBM Connect:Direct and IBM Control Center configurations and consolidate file transfer and B2B process event data.